Thomas Sigler is a Senior Lecturer in Human Geography at The University of Queensland, Australia. His research sits at the intersection of urban geography and economic geography, with a focus on how cities are transformed by globalization. 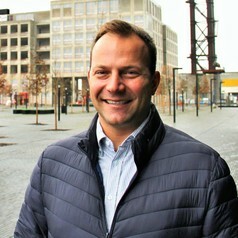 He has published widely on various aspects of global cities, urban governance, housing and urban morphology, economic networks, and the sharing economy. In addition to teaching across a range of human geography courses, he is on the editorial boards of the journals Urban Geography and Geographical Research.